The VA offers protections for disability ratings that have been in effect for certain periods of time. Until these regulatory protections kick in or your ratings become permanent, VA may severe or reduce a Veteran’s disability rating based on specific findings. WHEN CAN THE VA SEVER SERVICE CONNECTION? Severance is when the VA tries to revoke a finding of service connection. If the VA tries to sever service connection, it will notify the Veteran of the proposed action and give him or her 60 days to submit evidence to show that service connection should not be severed and 30 days to request a hearing. If the Veteran does not submit evidence within that 60-day window or request a hearing within 30 days, the VA will issue a final decision. In cases of severance, Veterans are given added protection if they have been service-connected for the condition for 10 years or more. Under 38 C.F.R. 3.957 in the VA code of regulations, a Veteran’s service-connected disability that has been in effect for ten years or more “will not be severed except upon a showing that the original grant was based on fraud or it is clearly shown from military records that the person concerned did not have the requisite service or character of discharge.” The ten-year period is calculated from the effective date of the award for service connection. For example, if a Veteran was granted service connection for a low back injury effective October 20, 1980 and the VA issued a decision dated August 29, 2018 attempting to sever service connection, the VA would have to abide by the ten-year rule above. 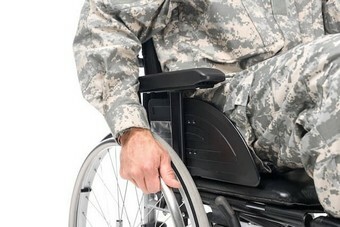 Veterans with disabilities that are not considered permanent may be sent for future VA examinations in order for the VA to evaluate the severity of those disabilities and rate them appropriately. If the VA finds that a Veteran’s condition has improved, it can reduce a Veteran’s disability rating. The VA is required to follow the same process for reductions as they are for severances. This means that if the VA wishes to reduce a disability rating, they must issue notice of the proposed reduction and give the Veteran 60 days to submit evidence and 30 days to request a hearing. However, there is one major difference between the process of a reduction and severance. When the reduction would not change the actual amount of compensation that a Veteran is receiving, the VA does not have to issue notice of the reduction. WHEN DOES MY VA RATING BECOME PERMANENT? An easy way to tell if your VA disability ratings are permanent is if the VA has deemed you to be totally and permanently disabled. This means that the VA does not see a reasonable chance of your conditions improving. However, if you are not “permanent and total,” the VA has regulatory protections for reductions of service-connected disabilities. Under 38 C.F.R. 3.951 (b), the VA cannot reduce a rating that has been “continuously rated at or above any evaluation of disability for 20 or more years” unless it is shown that the rating was based on fraud. So, for example, if you are rated at 20% for a right knee disability from January 1994 and the VA proposes to reduce your right knee rating to 0% in March 2017, they can only do so if they find that your initial 20% rating was based on fraud. If they cannot show that, they cannot reduce your 20% rating. 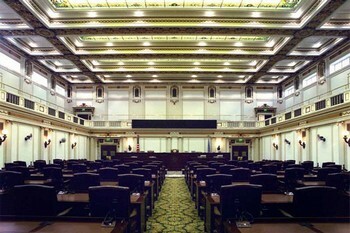 This rule protects disabilities that have been increased over the span of 20 years or more as well. For example, the Veteran who receives 20% for his right knee disability from January 1994 was increased to 30% in 2006. In March 2017, the VA proposes to reduce his 30% to 0%. Although the rating for the right knee condition changed between the initial grant and the proposed reduction, he is still protected under the 20-year rule. WHAT IF I HAVE TDIU? For Veterans that have been granted entitlement to Total Disability Based on Individual Unemployability (“TDIU”), the VA can only reduce that rating if “actual employability is established by clear and convincing evidence” (38 C.F.R. 3.3.43(c)). What that means is the VA can only sever your TDIU if you have been found to be employable. For Veterans with TDIU, the VA will send out a yearly employment questionnaire to see if a Veteran participated in substantially gainful employment during that year. In order for the employment to be substantially gainful, a Veteran would have had to be employed for 12 months or more and would have had to earn over the federal poverty threshold. 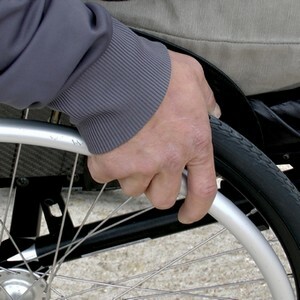 Check out our video on Permanent and Total disability HERE. WASHINGTON (NEXSTAR) -- Some Veterans aren't getting their education and housing benefits and Congress wants to know why. A House committee says it will hold a hearing, after the election, and Veterans’ advocates say the VA needs to be held accountable. The American Legion says some student Veterans are facing eviction because the VA is behind on GI Bill payments. John Kamin with the American Legion says some monthly housing payments for student Veterans have been delayed up to 90 days. “Left moving back in with their parents or couch surfing because the VA was not able to honor these Veterans and their service,” said Kamin. On top of that, he says some schools won't let Veterans graduate or register for classes, because their tuition is late. The VA acknowledges it's behind on the payments. In a statement, a spokesperson told us VA employees are working overtime to process the claims, and it has brought on 200 additional people to speed up the process. “It's not enough. Absolutely not. We're beyond the point where we can take their word for it. we need to see executive action. Why has the secretary not spoken up about this?” asked Kamin. The VA faced similar problems in 2009 but issued emergency payments to Veterans. Congressman Jim Banks, serves on the Veterans Affairs committee. He says the VA needs a technology overhaul to keep up with the payments and other services. “We'll get to the bottom of the matter. We'll do everything we can to see that it's fixed,” said Banks. Kamin argues the VA knew its technology needed an update. “The VA did not take it to be a serious problem and that's why we're where we are…Vets are left trying to figure out how to live their lives,” said Kamin. Banks vows to hold the VA accountable but Kamin is skeptical, and already worried about payments for the upcoming spring semester. The House Veterans Affairs Committee hearing looking into the issue is set for Nov. 14. The VA says Veterans who aren't receiving their payments and need help to call its customer service number: 888-442-4551. The American Legion also urges Veterans who are struggling to contact their offices. The Department of Veterans Affairs recently announced that it has amended its regulations governing entitlements to VA pension and Parents’ Dependency and Indemnity Compensation. The changes are meant to ensure that only Veterans that legitimately need the benefits receive them. Veterans must have at least 90 days of active duty, including one day during a wartime period. If the active duty occurred after September 7, 1980, the Veteran must have served at least 24 months or the full period that he or she was called up (with some exceptions). 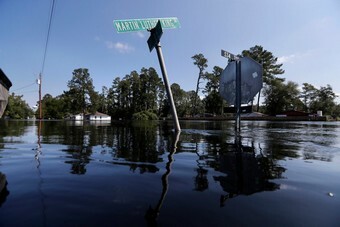 The move will affect any Veterans in Florida, North Carolina, South Carolina and Georgia who live in counties declared disaster areas by the Federal Emergency Management Agency. VA officials did not say how many of the more than 300,000 pending appeals currently in the system will be included in the new push. At least 53 people were killed as Hurricane Florence hit the eastern seaboard in early September. A month later, Hurricane Michael made landfall and resulted in at least 50 deaths across several states. VA health and benefits services in those areas were temporarily disrupted by the powerful storms, but officials have largely returned to normal operations in the weeks since. At the height of the hurricanes, some infirm Veterans were evacuated to facilities in different states while VA contracted with local doctors and pharmacies to handle other critical needs. Veterans eligible for the faster appeals processing will not have to take any action to accelerate their claims. Board of Veterans’ Appeals officials said they will move ahead any cases with addresses in the affected region, and continue to fast-track those claims for the next six months. The backlog of appeals claims has been a recurring complaint from lawmakers and Veterans advocates in recent years. 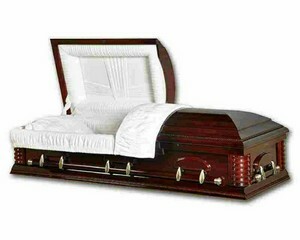 Cases typically take several years to wind through the system, with some topping five years or more. After congressional intervention, VA officials introduced a new Rapid Appeals Modernization Program with wait times under three months for case completion. 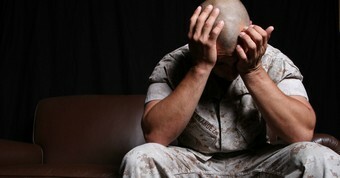 But many Veterans have been slow to embrace that option, leaving their cases to wind through the traditional process. A list of counties affected by the new announcement is available at the Board of Veterans Appeals’ web site. Of all the disabilities listed on the VA’s Schedule for Rating Disabilities, the ratings involving the knee are one of the most difficult for Veterans to understand – and for the VA to get right. Much of the confusion stems from the fact that a Veteran may be able to receive multiple ratings for the same knee, depending on the severity of his or her condition. In previous posts, we discussed ratings for limitation of flexion and extension, instability, and meniscus injuries. Today we are going to discuss the ratings available for knee replacements. Before we get into knee replacements specifically, it is important to understand why exactly it is that multiple ratings are allowed for the knee. As explained in the previous posts in this series, the “Rule against Pyramiding” and the rule that the VA must maximize benefits for a Veteran work together. This means that separate disability ratings may be assigned to different conditions where none of the symptomatology for the separately rated conditions is duplicative or overlapping. This is particularly important for the knee, where one injury may cause many different issues, and these separate manifestations of that injury may all be entitled to separate ratings. Total knee replacements are rated under DC 5055. 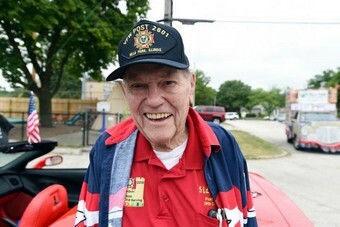 A Veteran will receive a 100 percent rating for a service-connected total knee replacement for 1 year following the implantation of the prosthesis. A 60 percent rating is warranted for chronic residuals consisting of severe painful motion or weakness in the affected extremity. Intermediate degrees of residual weakness, pain, or limitation of motion should be rated by analogy under DCs 5256, 5261, or 5262. The minimum rating for a knee condition status post-knee replacement is 30 percent. Convalescence ratings (also known as temporary 100% ratings) are an important part of the discussion of total knee replacements. Convalescence is defined as the act of regaining or returning to a normal or healthy state after a surgical operation or injury. The 1 year period for the 100 percent rating under DC 5055 begins after the expiration of any convalescence ratings. For example, a Veteran enters the hospital on 5/20/17 for a total knee replacement and is released on 6/2/17. His convalescence rating will expire on 6/30/17 and his 100 percent rating under DC 5055 will begin on 7/1/17. It is important to note that a Veteran may be eligible for a longer convalescence rating depending on his or her recovery from the surgery. There is no requirement that the Veteran must be confined to his or her home, but there does need to be medical evidence that a longer convalescence is required. The best evidence for this is a note from the Veteran’s doctor. In fact, a Veteran undergoing any surgery for a knee condition should always ask his or her doctor for a note regarding the applicable period of convalescence and be sure to get notes regarding any extensions for that convalescence period. A Veteran can receive extensions for his or her convalescent rating for a total duration of up to 6 months, in increments of 1, 2, or 3 months. After the initial 6 months, a Veteran can receive additional extensions of 1 to 6 months for “severe postoperative residuals” or if he or she has a “major joint immobilized by a cast.” This means that a Veteran can technically have up to 1 year of convalescence ratings. Once the Veteran’s convalescence period is up, and his 1-year 100 percent rating under DC 5055 is up, the VA will reevaluate the Veteran’s knee and rate the Veteran for any postoperative residuals. Typically, the Veteran will be scheduled for a C&P examination for this purpose. If a Veteran has chronic residuals consisting of severe painful motion or weakness in the affected extremity, he or she should be awarded a 60 percent rating. Unsurprisingly, the term “severe” is not defined in the regulation. Therefore, it is the best practice to always argue that residuals are severe. A Veteran is competent to comment on his or her observable symptoms, so the Veteran should submit a statement detailing the day-to-day residuals and how they affect functioning. As noted in past posts regarding rating knee conditions, a Veteran should submit any lay statements he or she can from people who have witnessed these severe postoperative residuals. A Veteran may also want to have an examination with a private doctor who can comment on the severity of his or her residuals, especially if the C&P examination is not favorable. As noted above, the minimum rating for a knee condition status post knee replacement is 30 percent. If a Veteran has intermediate degrees of residual weakness, pain, or limitation of motion, the condition should be rated analogously under DC 5256, 5261, or 5262. The symptoms do not need to be exact, just “closely analogous.” It is important to note that the VA cannot require additional criteria when determining the proper rating under DC 5055. For example, they cannot state that a certain limitation of motion or gait alteration is required. One last important thing to remember is that as of July 16, 2015, DC 5055 applies only to total knee replacements. 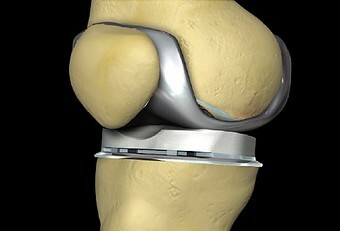 The previous version of the regulation also applied to partial knee replacements. If a Veteran has a claim for a partial knee replacement that was filed prior to July 16, 2015, DC 5055 will still be applied. For Veterans whose claims were filed after July 16, 2015, they should still argue that a partial knee replacement should be evaluated analogously under DC 5055. Many student Veterans have been waiting longer than normal for their GI Bill benefits this semester, as the Veterans Affairs Department works through a backlog of claims affecting thousands of students. Meanwhile, legislation that could have helped these students is stalled in the Senate, and Veteran education advocates, along with some members of Congress, are calling for action. The legislation, which passed the House unanimously in May, would require schools to adopt a policy stating they will not deny access to classes or facilities, impose late fees, or make students pay out-of-pocket because of unpaid balances, as long as the student has provided a certificate of eligibility for VA benefits. This would ensure that no GI Bill users are punished by their schools because of VA processing delays. But since the legislation hasn’t passed, some organizations say their members are being charged late fees or barred from registering for next semester’s classes. The bill, which has also garnered the support of Veterans of Foreign Wars and the American Legion, was referred to the Senate Committee on Veterans’ Affairs in late May, but there has been no movement on it since. A staffer for Committee Chairman Sen. Johnny Isakson, R-Ga., said their office has reached out to Veterans’ groups and schools impacted by these policies and is currently working through the legislation. Rep. Phil Roe, R-Tenn., chairman of the House Committee on Veterans Affairs, said he urges his Senate colleagues to quickly pass the bill and President Trump to sign it into law. “This legislation is critical to protecting our student Veterans from situations like the one we (currently) face,” Roe said in an email. As of Wednesday, the VA has 120,000 education claims pending, most of which are for Post-9/11 GI Bill payments, a spokesman for the agency said in an email. Approximately 1,200 claims have been pending for 60 days or more. Original claims for first-time GI Bill users are taking an average of 33 days to process, and supplement claims are averaging 23 days, which is higher than the VA’s goal to process these types of claims in 28 and 14 days, respectively. One reason for the backlog is that the VA is still working to get its technology systems up to date with the new Forever GI Bill law, which was supposed to change how housing stipends are calculated for GI Bill users starting Aug. 1. He said the VA expects to get the overall number of outstanding education claims under 100,000 in early November. It’s difficult to determine just how common it is for schools to penalize students whose VA payments don’t come in by their deadlines. In a recent Military Times survey of around 500 colleges and universities, the vast majority of colleges said they have special policies for students whose VA or Defense Department education benefits are delayed. In many cases, these policies protect students from incurring late fees or being dropped from classes for nonpayment. In a letter to schools last week, VA Director of Education Service Robert Worley asked that campuses not penalize students if they have not received tuition and fee payments from the VA. The results of a recent VA customer survey indicates Veterans and their families continue to experience high customer satisfaction in burial and memorial services for Veterans and families from the U.S. Department of Veterans Affairs (VA)’s National Cemetery Administration (NCA). 98.2 percent of all respondents saying they were satisfied with their experience at the national cemetery. For Veterans not buried in a VA national cemetery, VA provides headstones, markers or medallions to commemorate their service. For more information, visit the National Cemetery Administration website.